Rosedale offers an artificial floral program on a yearly basis. 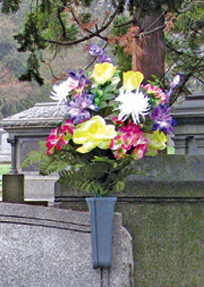 Once paid in full, four different floral arrangements for each season are placed on the interment space for the entire year. Examples of the floral arrangements are below. If you have any questions, please contact the office.